The name Chevrolet reaches out from America and into the deepest parts of the world. Car enthusiast or not, Chevy has had enough iconic cars that have permeated beyond car culture and into popular culture that just about everybody knows that name. 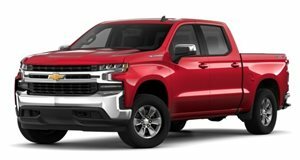 It hasn’t been a smooth road for Chevy since the Swiss race car driver and automotive engineer Louis Chevrolet and General Motors founder William C. Durant started the company in 1911. However, the brand survived Chevrolet and Durant falling out with each other and then merging with GM before Alfred Sloan set Chevy on course to become GM’s brand with "a car for every purse and purpose.” Chevy has stayed true to that for over 100 years now, and in the process delivered some true icons along the way. The Suburban name first arrived in showrooms in 1935 using the burgeoning formula of a station wagon style body mounted on a commercial truck frame. Chevy had previously made something similar for the national guard, but the Carryall Suburban was a rugged vehicle to carry an entire family and everything they needed for long trips. It even featured three-row seating for up to eight occupants. The name Suburban lives on today as the longest continually used nameplate and has outlived many competitors, including offerings from Jeep and Ford. 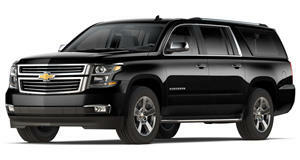 Unlike some other models in Chevy's current lineup, the Suburban hasn’t been diluted and holds true as a full-size body-on-frame SUV capable of being configured for nine people while retaining a full-sized cargo area. Chevy produced its first truck in 1918, and currently, the Silverado is the second best-selling truck in America. The C/K line of trucks started in 1959 in the US and ended in 2000 although it lasted another couple of years in South America. The C10 was the half-ton model marketed for recreation as well as work and ran from 1960 through to 1987 to set the stage for the Silverado. The C10's popularity is still huge in terms of collectability and as custom projects. The Bel Air Sport Coupe debuted in 1949 but it was the second generation from 1955 that became a style icon. It had the fins, the chrome, the aggressive and stylish lines. But it was a V8 engine matched to a Powerglide transmission that cemented the Bel Air Sport Coupe as the ultimate boulevard cruiser. The Bel Air got bigger and bloated after the second generation and never quite caught the zeitgeist of the following decades before being retired in 1981. It’s not Chevrolet’s prettiest of vehicles, but the El Camino is one of the brand's most enduring icons. The El Camino was based on a two-door station wagon platform to form a coupé utility vehicle. The origin of the coupé utility goes back to Ford in Australia and a farmer’s wife asking for "a vehicle to go to church in on a Sunday and which can carry our pigs to market on Mondays”. The El Camino followed the Ford Ranchero by a couple of years in the US, but it was Chevrolet’s more flamboyant, and later sportier, take on the car with a truck bed that embedded it deeper into popular culture. 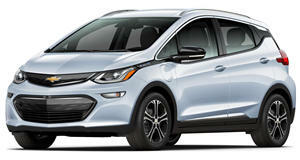 While the tech industry and Tesla evangelists have been hyping up a company that has repeatedly failed to live up its promises, Chevy hasn’t gotten the headlines it deserves for its benchmark-setting electric vehicle, the Bolt. While we still (at the time of writing) wait for the Tesla Model 3 to make good on the promise of an affordable, 220-mile range Model 3, the Bolt currently weighs in as a compact EV with a 238 mile range for around $30,000 (after federal tax credit) with good build quality and a solid chance that the company making it will still be around in a few years. While most people know the name Corvair from Ralph Nader’s 1964 political grandstanding book "Unsafe at Any Speed” where he focused on it as an example of the automotive industry’s lack of care in consumer safety, Nader didn’t kill the Corsair. Ultimately, the end of the Corvair boiled down to the Camaro rendering it redundant. The Corvair was America’s answer to rear-engined European imports and came with a sub-100 horsepower flat-six engine. However, the Corsa version came with a 140-hp engine and even a turbocharged 180-hp powerplant. The Corsa actually arrived in 1965, a year after Nader’s book crashed into the news cycle, and history is unclear on whether it was intended as a middle finger to Nader’s singling out of the car, but we choose to believe it was. Ultimately, a safety commission report for the National Highway Traffic Safety Administration found that the first generation Corvair possessed no greater potential for loss of control in extreme situations than any of its competitors. In 1965, the Impala was Chevrolet’s most expensive car. It sold 1,046,514 units and that registered as an all-time industry record. That’s one hell of a stat, but the Impala didn’t stop there and was Chevrolet’s most popular full-size model for the middle of the 1980s. Its current revival has watered down the success and status of the Impala name in Chevy's lineup by becoming an affordable mainstream front-wheel drive mid-sized car. 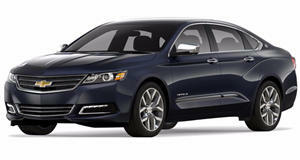 However, we shouldn’t forget the Impala for the heavyweight it was as a car and pop culture icon. 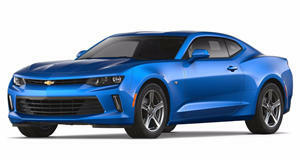 Somehow, one of Chevy’s finest moments of this century is a car that was imported to America. Both on paper and in the metal, the SS was squarely aimed at the enthusiast. 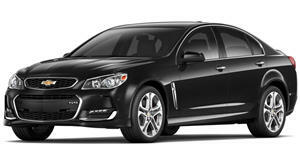 A sporty looking, but not over the top, 4-door sedan with a 415 horsepower LS3 6.2-liter V8 paired to a 6-speed manual transmission and riding on GM’s excellent magnetic ride control suspension. It boasted both sharp handling and a smooth ride due to the suspension, and to top it off was a 0-60 mph time of 4.6 seconds. Exactly 12,953 were imported to the US market from Australia where it was built by Holden. It was the perfect car to fill the gap left by the Pontiac G8, but the SS faded away quietly because not many people knew it even existed. The 1966 Camaro was a direct and no-nonsense reply to Ford’s Mustang and cementing the pony car as a industry segment. 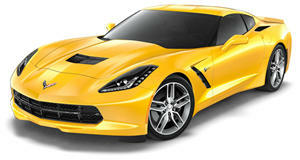 Chevy and Ford’s competitive relationship drove both cars to become excellent performers and cultural icons. It also makes it hard to imagine one without the other, but the Camaro did disappear in 2002 before coming back in 2009 to start setting new bars in bang for the American buck. After an underwhelming start in 1963, the Corvette has been pushed and prodded by legendary figures through the decades to become not just America's sports car, but a sports car known throughout the world. As the Corvette stands right now, it sits in the bracket of the world-class sports cars in standard trim levels and world-beating sports cars at either Z06 or ZR1 spec. Ultimately, Chevrolet’s gift to the world is proving that you don’t need a truly monstrous amount of cash to own a world-class sports car or even keep up with an Italian supercar around the track.